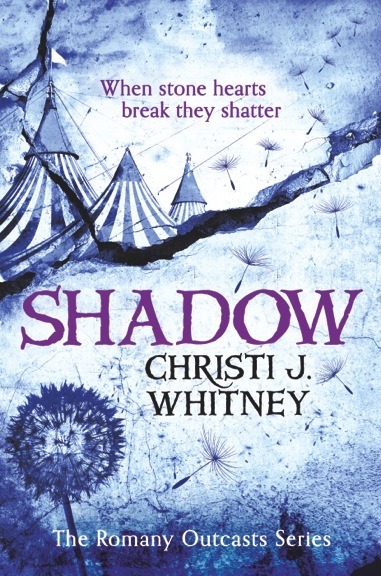 I am so pleased to participate in the cover reveal for Christi J. Whitney’s second book in The Romany Outcasts Series – SHADOW. I’ve already had the please of reading it, and let me tell you, this novel is so, so, SO good!! 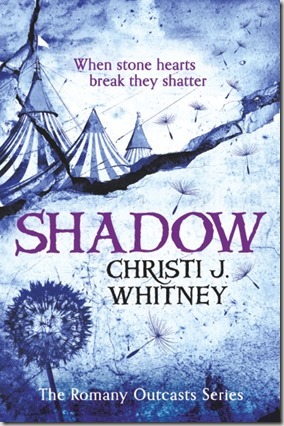 Check out the blurb and the excerpt to see what I’m talking about. You’ll definitely want to pre-order this one. Goodreads | Pre-Order from Amazon, Barnes and Noble, or Kobo! And if you haven’t read GREY, the first installment of The Romany Outcasts Series, is on sale for only 99 cents until April 25. Get it at Amazon!! I fought the insanely strong desire to whirl around and shove the arrow down his throat. Instead, I bit my lip, tasting blood, and picked up my pace. We reached the iron fence that surrounded the Fairgrounds. Phillipe pulled out a ring of keys and opened the gate. I’d assumed everything would look as it had the last time I’d been within the walls of the Circe de Romany. But there were no tents or pavilions. No rides or decorations, either. Only trailers – along with several RVs, trucks, and buses – arranged in a tight circle, right in the middle of the property.